A DIY tutorial is so much fun. 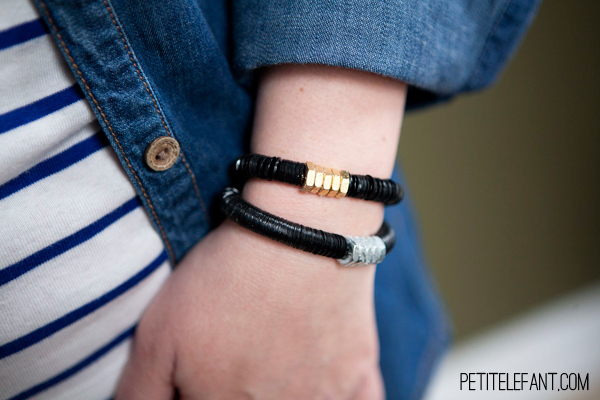 Do you love a fun hardware bracelet DIY as much as I do? They are easy (well, usually), fast and stylish. The craft trifecta! I’ve been playing around with sequins, trying to make earrings or even decorate a shirt. But you know how they looked the best? As a bracelet. Lucky me. So I have an easy tutorial for you to make your own. And you know my love of hex nuts. 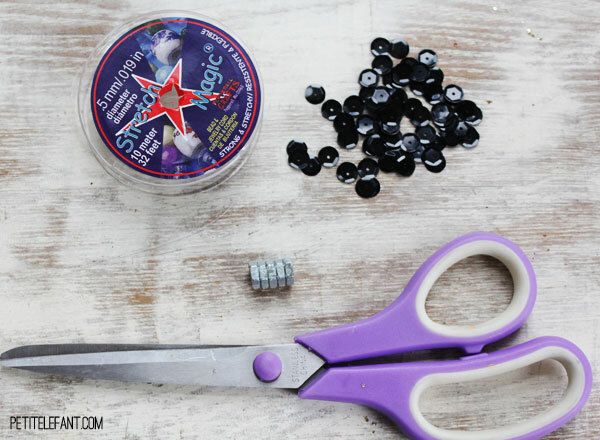 My style resolution is to wear more accessories to jazz up my outfits, and combining tough hex nuts from the hardware store with girly sequins is a perfect combination. Want to give it a try? Of course you do! Here’s the easy tutorial. 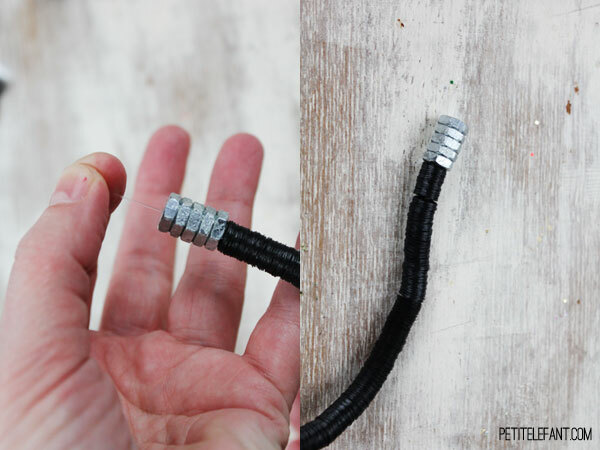 Stretch Magic cord. You can find this at any craft store in the jewelry supply section. And this stuff is seriously magic. 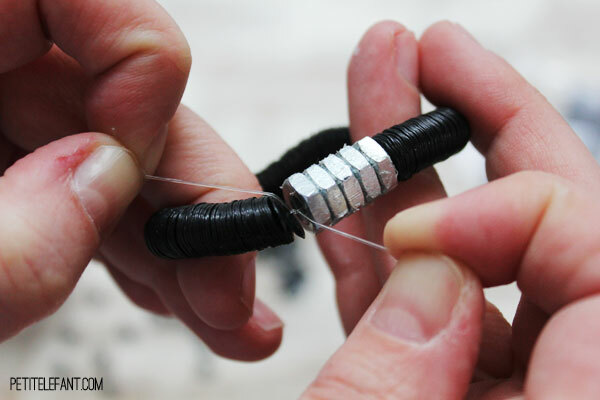 You can string pretty much anything on it to make a stretchy bracelet in no time flat. Sequins. A lot of sequins. If you can find them on a string you’ll save yourself quite a bit of time. However, they don’t sell them that way at Michael’s or JoAnn’s so you’ll need to buy several packages of large, flat sequins. Nope, I didn’t count how many I used. But these guys are pretty cheap, so go with 3 packages to cover the ones you’ll end up dropping on the floor. 5 hex nuts. Either in gold or silver. 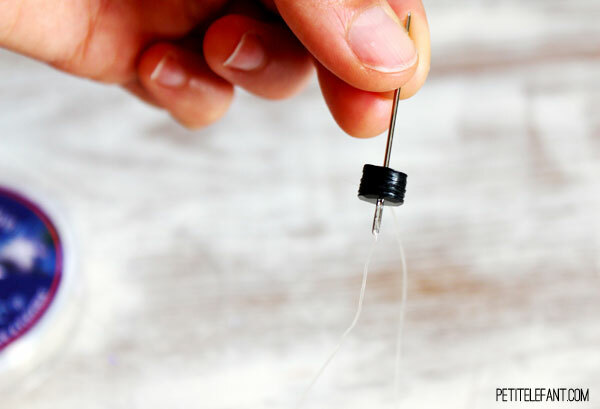 If you can’t find sequins on a string, you can use a small needle to stack them and make the process go faster. This is definitely a good project for catching up on the latest episode of Scandal. And make sure you are threading the sequins on in the same direction. 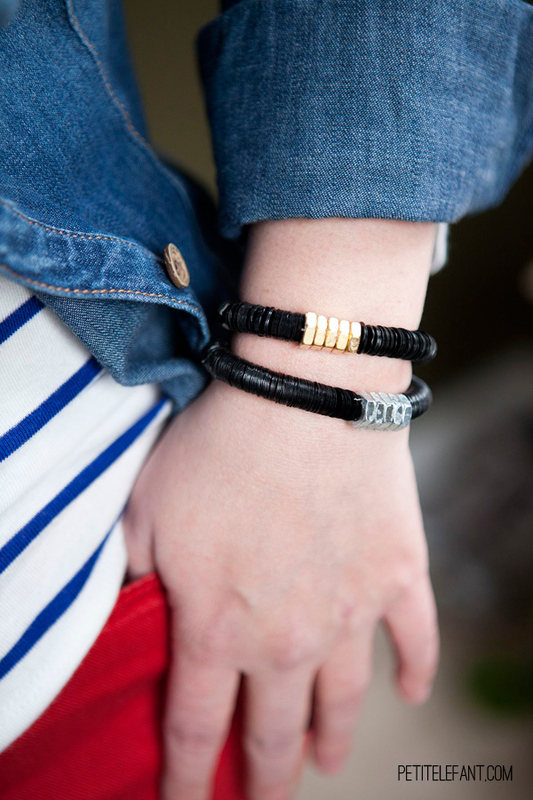 This may sound a little OCD but it makes a major difference in how the bracelets look. 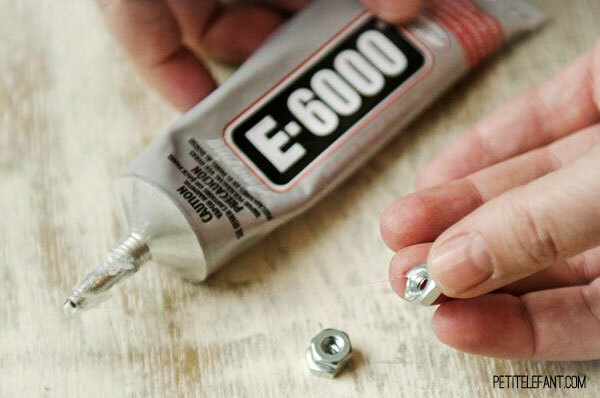 When you need a break from stringing sequins, go ahead and glue your hex nuts together with E-6000 glue. This stuff is the best for gluing metal. But if you don’t have it, I’m sure hot glue would work too. When you have enough sequins strung to wrap around your wrist add the hex nuts. Caution: be very careful to hold your ends tight. You do not want to send your sequins flying all over the carpet! Yes, I speak from experience. You’ve been warned. Read the Stretch Magic instructions on how to knot the cord. Follow this carefully! Again, you don’t want to think you are done only to start picking up sequins again. Just sayin’. And you’re done! The cord knot will hide nicely in the hex nuts. What do you think? 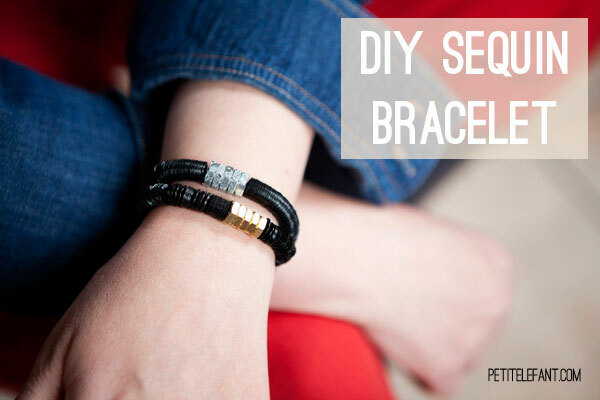 Will you use this tutorial to make your own DIY hardware bracelet? Very edgy. I like it. This I liked alot! Need to try it myself. Have a nice valentines day. Greetings from Sweden.